Worship. A word that I have been wrestling with this past year in reference to the worship of God. What does it mean? What does it look? What does the Lord require and desire when it comes to worship? 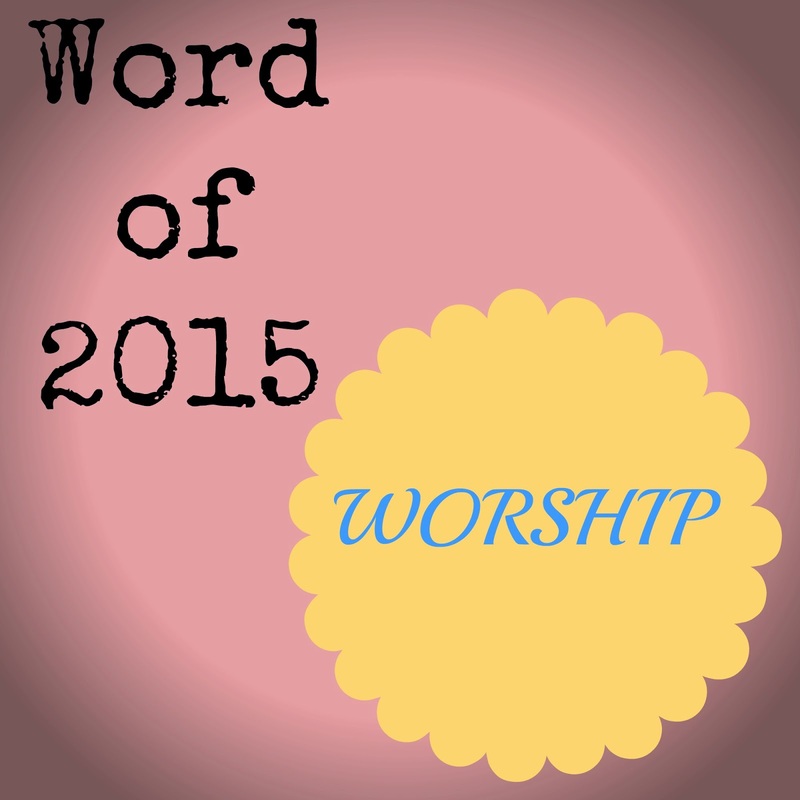 My hope for 2015 is to develop a deeper understanding of Biblical worship as it relates to the Lord. The dictionary's definition of the verb worship is; to show reverence and adoration for a deity. According to Strong's Concordance, the Hebrew word shachah that means worship in the Bible is literally translated as "to bow down," (Gen. 24:48, Gen. 27:29). One Greek word for worship, found sixty times in the New Testament, is proskuneo and literally means, "to kiss the ground when prostrating before a superior." Wow. Is this what I signed up for when I became a Christian? To kiss the ground while lying down before a superior! Actually, at the time it didn't seem so bad. The experience I had fifteen years ago when I got saved was real and powerful. Jesus showed himself to me in a loving and strong way showing me that He indeed is God and that He in fact could rescue me from my sinful ways and transform me into a godly woman. Submitting to Him as having all authority and power through worship and adoration at the time was easy because the revelation was new, precious, fresh. So what happens when the excitement of the experience of salvation fades away. This is when the rubber meets the road and our Christian walk is put to the test. Will we accept the good and the bad? The trials along with the joy? My concern with the popularity of modern worship music is the lack of the adoration of a superior (God). Rather, it seems to focus on the worshipper, their feelings, emotions and experiences. Yes, God is an experiential God, but is that the heart of true worship? True worship is bowing down to God, laying prostrate before Him and focusing on WHO HE IS, who He always has been. If someone in royalty were to walk in the room right now, all respect and honor would be given to them because of their title and position. It should be the same with God. Whether we are at home with our family or at church within the congregation, the focus needs to be on Jesus and not us. I'm not going to quote certain songs because if you pay attention next time you listen to them it will become very obvious to you. Some songs confuse me because they aren't even directed toward God but it is singing about God, so, who are you singing to? Yourself? Everyone else in the room? This is not worshipping God. It might have motivational and encouraging lyrics but it is NOT worship. Some songs even start to worship to God then it veers off and I don't even know who we are supposed to be singing to! My biggest concerns are the worship songs that aren't even Biblical. Like one that says certain Biblical historical figures said and sang things they never said. What is this teaching our children? The power is in the Bible, not some hopeful Midrash of what COULD have possibly happened. Okay, as you can see I am honestly distraught over this subject and am praying for answers, resolution and understanding through the power of God. God is God and rules over the affairs of man. I hope that I can worship him the way He deserves! Are you a blogger who has written about your Word of the Year 2015? Then come link up here!